Here at Barcombe Landscapes, we have trained staff who can help you to create a garden to suit your needs. It could be a small area of an existing garden that needs refurbishment or a whole garden. It is important to us that we gain the client’s input and turn this into a design and completed project that you can be proud of. A well implemented project will be an asset to your home and should complement any existing structures. It should also be practical, low maintenance, and environmentally sensitive. 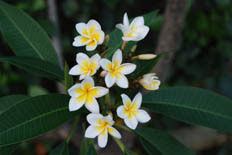 We have extensive knowledge on choice of plants and materials, and can provide advice for on-going care. 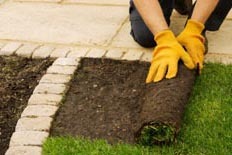 Being a family run firm we can provide a personal service to maintain and care for your garden, or parts of it. It will always be a family member who answers the telephone if you have any queries, and we would like you to know us on first name terms. Our good plant knowledge and extensive equipment enable us to carry out any task quickly, cost effectively and correctly. 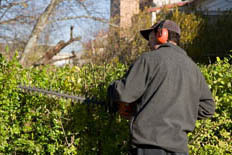 From grass and hedge cutting to weeding and pruning, we can fulfil your needs in an environmentally sensitive manner. Hedge maintenance is a major part of our work, and we can provide cost effective solutions to keeping your garden looking neat and tidy. 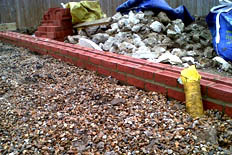 We can advise on correct timing of trimming, and will carry out any work efficiently and safely. We will remove and recycle any prunings if required. 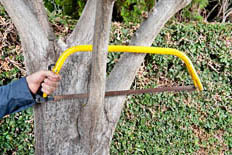 We can also provide advice and help with care for your trees. Paddock and field care for wildflowers and bio-diversity has never been more important, and as part of our environmental awareness we can advise on the best management to enhance wildlife benefit. 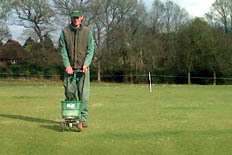 Not only can we then carry out this management of the grass area, but we also trim field and farm hedges with tractor mounted equipment.